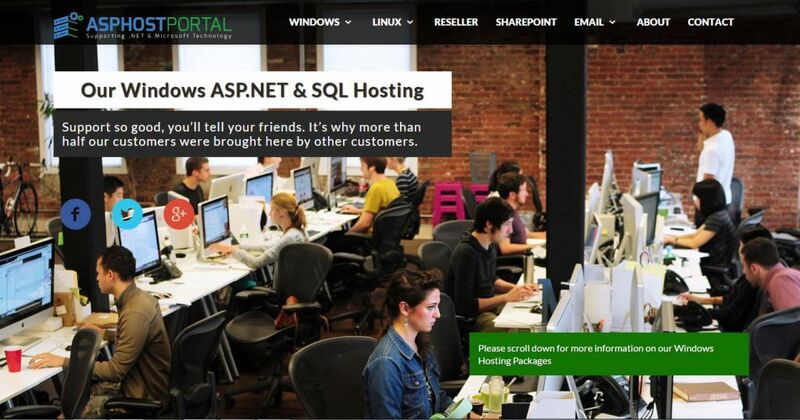 Is sql server hosting good for your website? If you are just starting an online business, you must be aware of the different online strategies, so as to make your website competitive in the worldwide web. There are several server-hosting companies and each seems to claim to offer the best SQL server hosting solutions online. But before you choose a reliable company to host your website, you must first have a thorough understanding of what SQL server hosting is about. So what is SQL and do you need it? SQL is a powerful database that's used to store and retrieve important data. If you have ever used or worked with Microsoft Access, SQL server is similar, only much more powerful. SQL stores data such as passwords, user names, and products in tables. These tables are linked together by a common key such as a product ID number or customer name. The data is retrieved by using queries that link the data in the tables. For example, suppose you want to know how many products and what type of products where purchased by John Doe in the last year. A query can be built in SQL that will retrieve this information. It can store millions of rows of data indefinitely, making it's server an essential tool for most businesses and web sites. How does the data get into the tables in SQL? It is simple and one of the many reasons SQL is so powerful. You do not have to input large amounts of data or hire anyone for data entry. The customers and visitors input the data directly into SQL server when they fill out the necessary forms on your web site. Think about that the next time you fill out information to sign up for a blog or purchase something on the internet. Your data goes into SQL and is stored for as long as the owner of that data wants to keep it. SQL is a database that is accessed using scripts that are installed on your server. If you have the expertise, you can write the scripts yourself or you can use scripts pre-installed that suit your needs. If you need a web site for e-commerce, products, a forum, a registration page or even RSS feeds, you are going to need SQL server hosting. Most large scale web hosting companies offer unlimited SQL server hosting. When choosing an SQL server hosting, make sure it meets the standards for reliability, security and ease of use. You also have to be sure that you acquire this service from a reliable server-hosting provider, so you can be confident with the results for your online business. Since there are so many companies offering this service online, you have to take your time choosing the SQL server hosting that offers the best features. They provide full refunds if there is any dis-satisfaction with their services or products. All of SQL Server Hosting plans come with unlimited Domains/Ms Access/Email accounts, as well as unlimited Sub/Parked/Addon Domains. Their plans include with easy 1 click installer, among many other features/offerings. Custom plans are available as well.